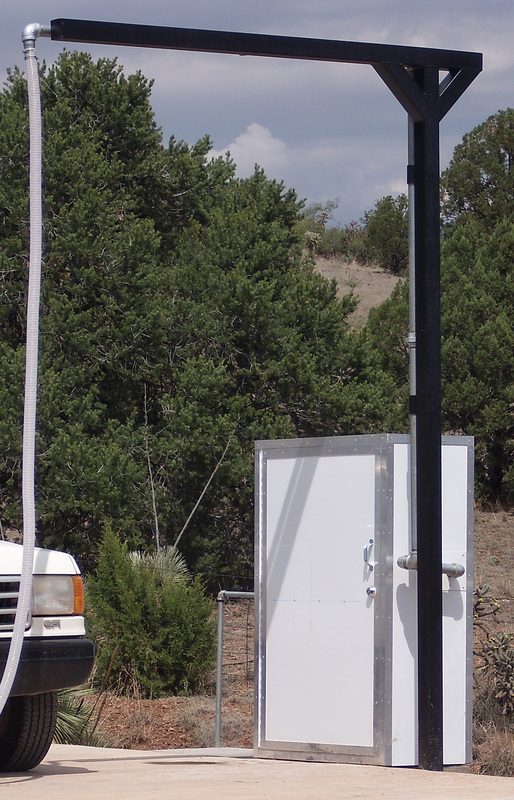 Overhead Supports - Aqua Flow International, Inc.
AquaFlow Int'l Inc. manufactures their own support posts for overhead water loading stations. We use either 4"x 4" square tubing or 6"x 6"square tubing depending on the need for our supports. The base can be concreted in or we use a plate system similar to a light pole. We use, and always recommend the use of, a plastic fitting before the hose to give the hose a breakaway spot for drive offs. We, of course, make custom support posts for double overhead systems. Call us and we can talk about how to support your overhead loading station. See the Drawing Packs for details.